The officer who stopped him said he noticed the smell of marijuana coming from Guion's 2015 Dodge Ram pickup. The Green Bay Press-Gazette got a copy of the arrest report, which noted that Guion asked the officer if he knew who he was. Guion also told the officer that he had a gun, which the report said was registered to him. The traffic stop did not go well. Guion became "extremely uncooperative and hostile" when the officer continued searching the vehicle after finding the gun. The report said Guion "kept coming near the truck several times saying, 'Hey, man, my money is in there.'" Guion then "rushed" the driver's side trying to remove a black backpack from the front passenger seat of the truck, according to the report. At that point, Guion was handcuffed, the report said. The officer found the marijuana and the money inside the backpack. The report states Guion also was charged with possession of a firearm in the commission of a felony. Because the money was in the same backpack as the marijuana, the cash was seized and secured. How much money: $190,028.81 in cash. The police then laid out all the cash and marijuana for the press to see today. They needed two tables. If you've ever wondered what $190,028.81 in cash looks like, here it is. You can tell they paid attention to detail because they included the change. Those are some crisp looking bills! I get paranoid if I've got more than $100 cash on me! Hot damn, Guion, hot damn. 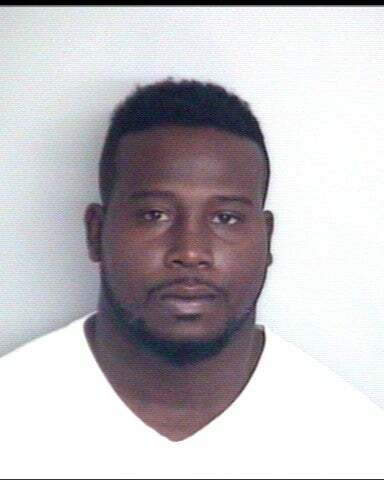 Guion was booked into a Bradford County jail and charged with one count of felony marijuana possession and one county of felony possession of a firearm on $100,000 bond. He made bail this afternoon. That means he's out his $190,028.81 and his bail money, which is typically 10 percent, so figure another $10,000 is gone. The Packers did as professional sports teams do and issued a bland statement.